A stunning gift idea with a difference. 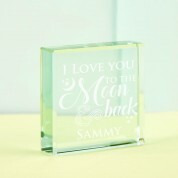 Our beautifully designed jade tinted glass block reads the message “I love you to the moon and back” followed by the recipient's name. It is made complete with small stars and a crescent moon. Because all engraving and design is done in house, every block is individual for the customer. 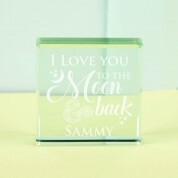 We think this stylish keepsake would make the perfect gift for an anniversary, birthday or at Christmas time. It would also make a lovely Mothers or Fathers day gift. It will suit any rooms décor. When it is not on display it can be tucked away in its silk lined presentation box. 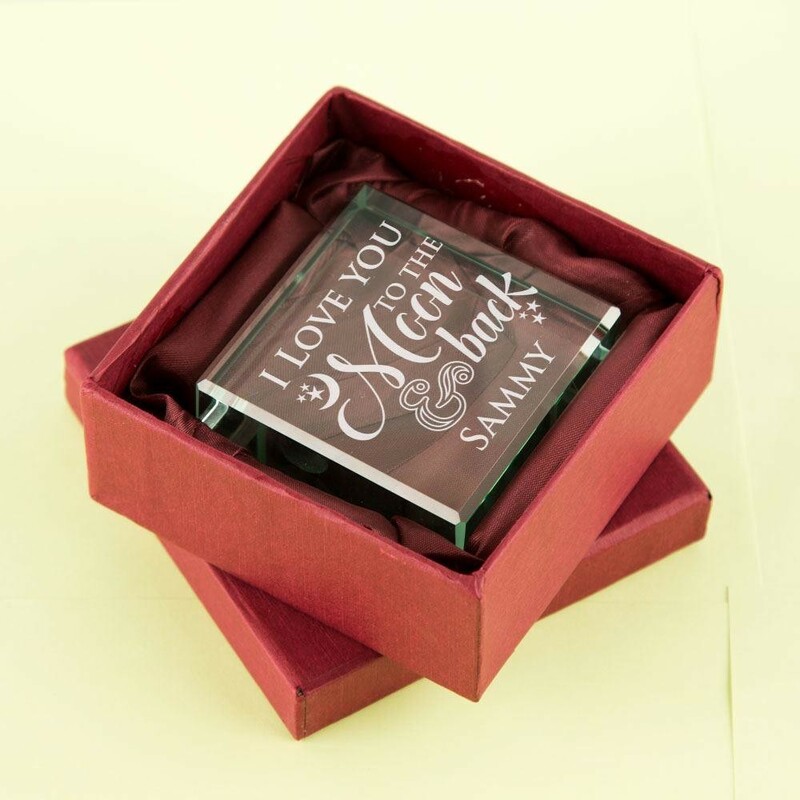 A precious and timeless keepsake for someone special in your life. Dimensions: approx 6cm x 6cm x 2cm.